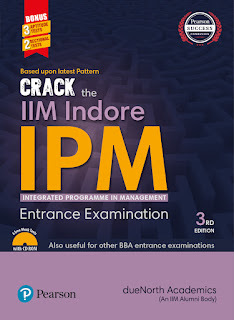 For preparing IIM Indore Five Year Integrated Programme in Management (IPM) Exam very few books are available in the market. Only one person who noticed the difficulty of students was Mr. Nitish Sinha, Director and Mentor of DueNorth Academy, Dehradun an IIM Lucknow pass out. 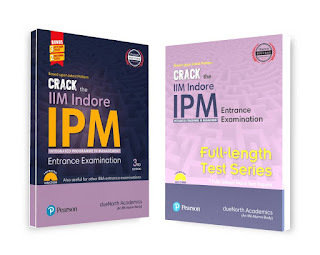 He has written books for CAT exams published by Pearson Education, India, noticed the scarcity of study material for students appearing for IPM Exam, started with Guide " The Pearson Guide to IPM Indore got huge success in 2015. 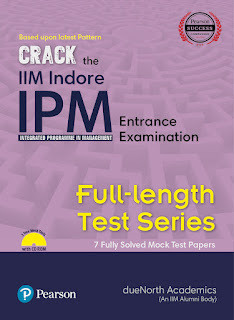 For practice purpose, he wrote the second book now for practicing IPM tests. Both books were appreciated by the faculties of different coaching institutes and mentors, Pearson sold over 5000 Copies in year 2016. Still these two books are "The Best Books available in the market. Since 35% marks are from Verbal Ability Test, this year his 3rd book on Verbal Bbility for IPM exam will be released in the Month of March 2017.